RETAIL giant Amazon will attempt to win back Australian shoppers by launching its premium subscription service in the country today, offering free two-day deliveries to most cities, streaming TV shows, and more than 1000 ebooks at less than half the price of its US service. 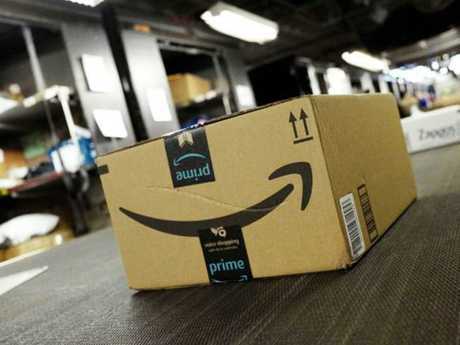 But Amazon Prime won't deliver as much in Australia as it does overseas, and will arrive less than a month after the company revealed it would stop shipping millions of products to Australia in protest over changes to the goods and services tax. Amazon Prime International vice-president Jamil Ghani announced the retail giant's Australian premium subscription overnight, saying he expected shoppers to embrace its two-day shipping offer, in particular, and the service offered "the most extensive set of Prime benefits at launch for any country ever". 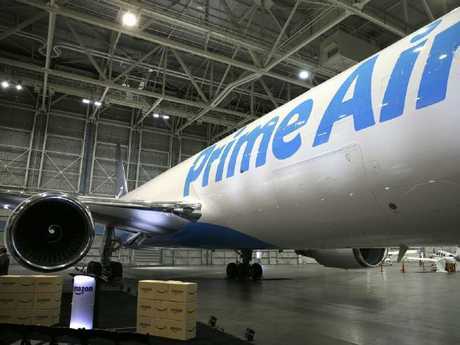 Retail experts say the launch of Prime is part of Amazon’s increasingly aggressive push into Australia after a lacklustre arrival. "This is just the beginning for Prime in Australia as we will keep making Prime better, adding even more selection and benefits," he said. The subscription service will deliver free two-day shipping to most Australian cities, free overseas shipping on items over $49, as well as access to Amazon Prime TV series, a selection of ebooks, and access to selected games on Twitch. Discounts on priority shipping, release-day deliveries, and access to discounted goods on Amazon Prime Day will also feature. But Amazon's Australian Prime subscribers won't get as much as their US counterparts, as they will miss out on free same-day and two-hour deliveries, access to Prime Music, Photos, and free early access to new-release books. The service will cost $59 annually, however - $100 less than a Prime subscription in the United States. Amazon Australia will have to work hard to win over local buyers. Gartner global retail principal research analyst Thomas O'Connor said the launch was part of Amazon's increasingly aggressive push into Australia after a lacklustre arrival. He said Australian online shoppers were less likely to be excited by its streaming TV options than by its faster delivery times, which could encourage serious competition from local retailers and that online "retail revolution" so often tipped. "It's that faster delivery service that Australian customers are looking for," Mr O'Connor said. "If you look at the US, there have been a lot of investments in the last 12 months in terms of next-day and same-day delivery services. We just don't have that kind of service here in Australia. This could be the next step in the Australian retail revolution." Amazon Australia may have work to do to win over local buyers, however, as Prime will launch less than a month after the company revealed it would stop shipping millions of products to Australia in protest over a Federal Government decision to collect the 10 per cent GST on all online purchases. The move will mean Australians will be unable to access almost 90 per cent of products sold on Amazon.com after July 1.